Closeouts. 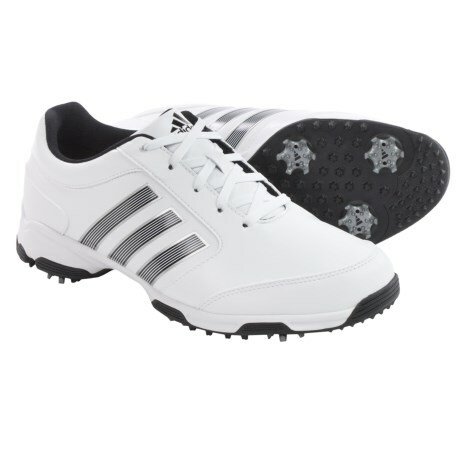 No need for the golf cart when you’re wearing Adidas’ Golf Pure 360 Lite golf shoes. The lightweight upper features a tour performance last that’s wider in the forefoot for a better fit and feel, and the six-spike Thintech® rubber outsole offers superior traction and durability.